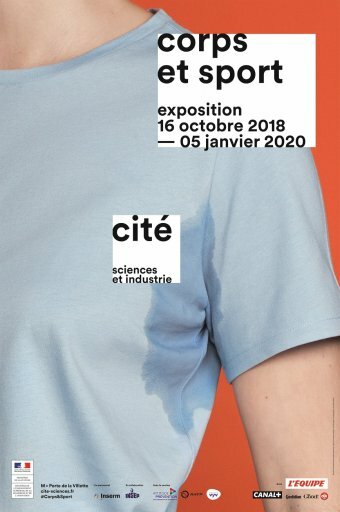 A new temporary exhibition after summer 2018 at Cité des Sciences in the Parc de la Villette - the link between our body and sport. Body and sport... interactive exhibition! All through this exhibition covering 1,200 m² you will be shown, tested.. on your physical performance and also in terms of "tactical" perspective. What advantage is there in sport, what are the benefits for our mind and body for professional or amateur sport? So sport is not at all, a little, passionate, excessive? What does our body think and how must it react? All is analysed: concentration, physiology, psychology, sociology, etc. This exhibition is created by Inserm. During your visit at Cité des sciences et de l'industrie, do not hesitate to book your tickets to visit the Cité des enfants (from 2 to 12 years old),and the other exhibitions such as, for example, the one on the theme of Fire, a small tour of La Géode for a movie. You can also go for a walk in the park, discover the Argonaute submarine, and enjoy free outdoor games for children.